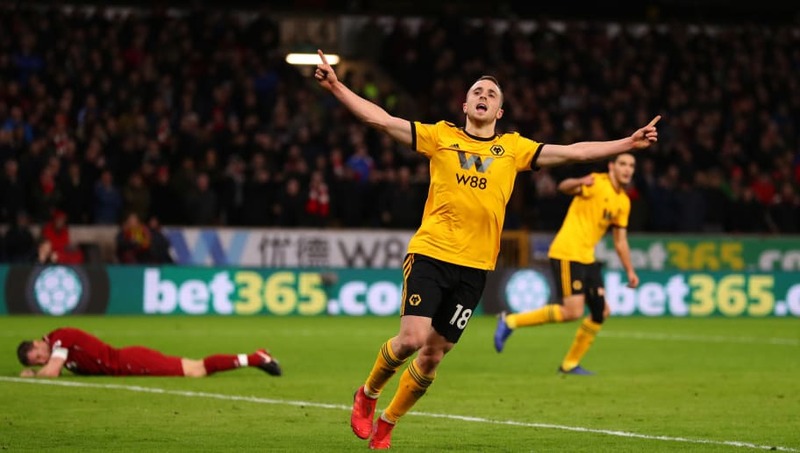 Eager to bounce back from last Monday's 3-0 defeat away at Manchester City, Wolves will be seeking a victory that would see them leapfrog opponents Leicester in the Premier League table. Nuno Espirito Santo's men currently occupy a credible 11th position in the table, since returning to England's top division this campaign. The reverse fixture this season came in round two, as ten-man Leicester overcame their midlands rivals 2-0 at the King Power Stadium. Willy Boly's red card against City means Santo will need to reshuffle his pack, with the Frenchman suspended for Saturday's early kick off against the Foxes. Here's a look at how they could line up. 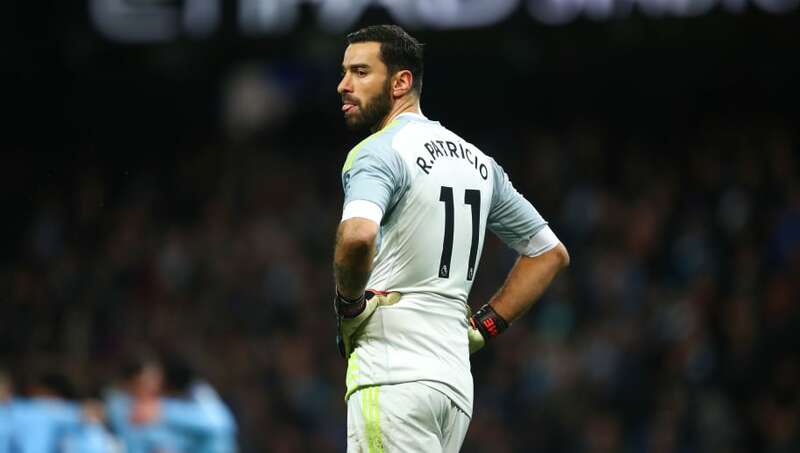 Rui Patricio (GK) - Since joining the club in the summer, Patricio has established himself as one of the division's finest goalkeepers and has featured in every minute of Wolves' Premier League campaign. Matt Doherty (RB) - One of Wolves' most impressive performers so far this season, Doherty has three goals and four assists in 22 league appearances. Ryan Bennett (CB) - Another impressive performer in what has been an impressive season for Wolves, Bennett has featured prominently alongside his fellow defenders. Conor Coady (CB) - The ex-Liverpool man has been another ever present for the club this term, attracting attention from other Premier League sides for his solid displays. Romain Saiss (CB) - The Moroccan has filled in when needed this season, both in central defence and defensive midfield, and will likely replace the suspended Boly. Jonny Castro (LB) - The versatile Spaniard has managed to establish himself in the side more frequently in recent weeks, earning Santo's approval with his combative performances. Ruben Neves (CM) - His reputation for scoring excellent goals has failed to come to light in the Premier League this year, with three in all competitions, yet his range of passing and work ethic have more than made up for his lack of goals. Joao Moutinho (CM) - The 32-year-old has formed a partnership with his fellow Portuguese Neves in the heart of Wolves' midfield this campaign and will be hoping for a similarly strong link up on Saturday. Diogo Jota (RF) - As one of three forwards, Jota will be tasked with dropping deep to find spaces in between the lines in which he can feed both the wing backs and his fellow forwards. Helder Costa (LF) - The winger signed professional terms at Molineux in 2017 following a successful loan spell, and scored his first Premier League goal for the club when Wolves beat Spurs at Wembley in December. 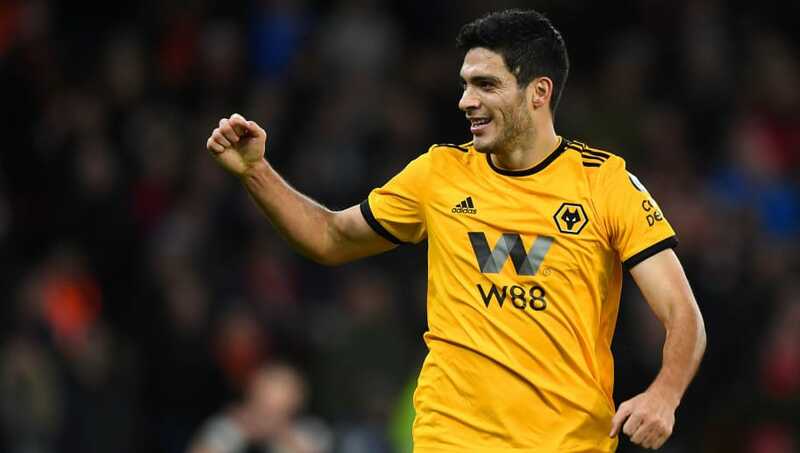 Raul Jimenez (ST) - The Mexican is Wolves' leading scorer in the Premier League this season with seven, scoring in the club's most recent league victory away at Tottenham.